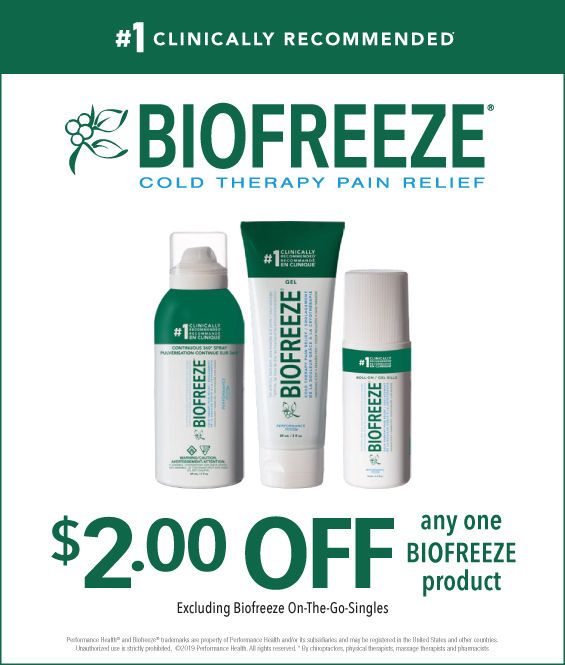 Get $2 off any one Biofreeze product. See Details for more. Get your coupon at biofreeze.ca/biofreeze-cool-the-pain-promotion. Excluding Biofreeze On-The-Go-Singles. Offer expires December 31, 2019. Applicable online and at Canadian locations. 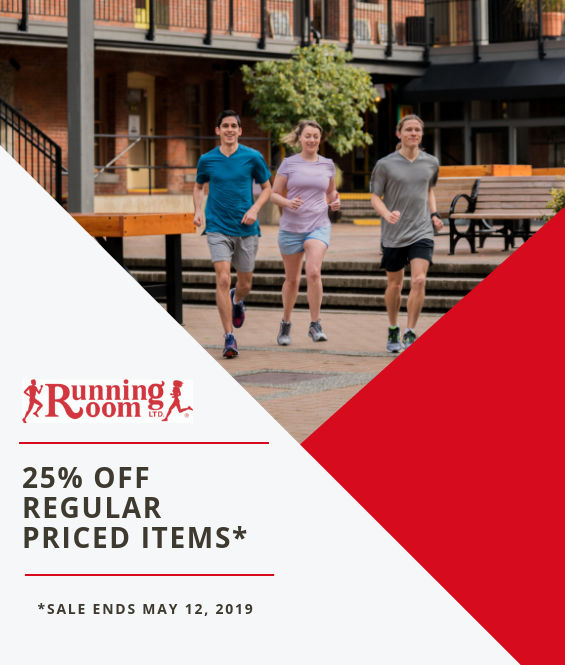 Excludes electronics, nutrition, Elliptigo, Proform, Theragun, Brooks footwear and select Saucony footwear. Can’t be combined with any other promotional offer, coupon or discount. Can’t be used on gift cards, training programs or event registration. 1 coupon per customer. Must present coupon to receive in-store discount. Subject to on-hand inventory availability. Offer may not be redeemed for cash, sold, altered, duplicated or copied and will not be replaced if lost, stolen or corrupted. Use of offers/promotional codes is acceptance of these terms. Running Room reserves the right to cancel or modify offer(s) at any time. Sale ends May 12, 2019, 11:59pm EST. Staying hydrated has never been so easy. Come visit us at the Expo to stock up on your favorite flavors! 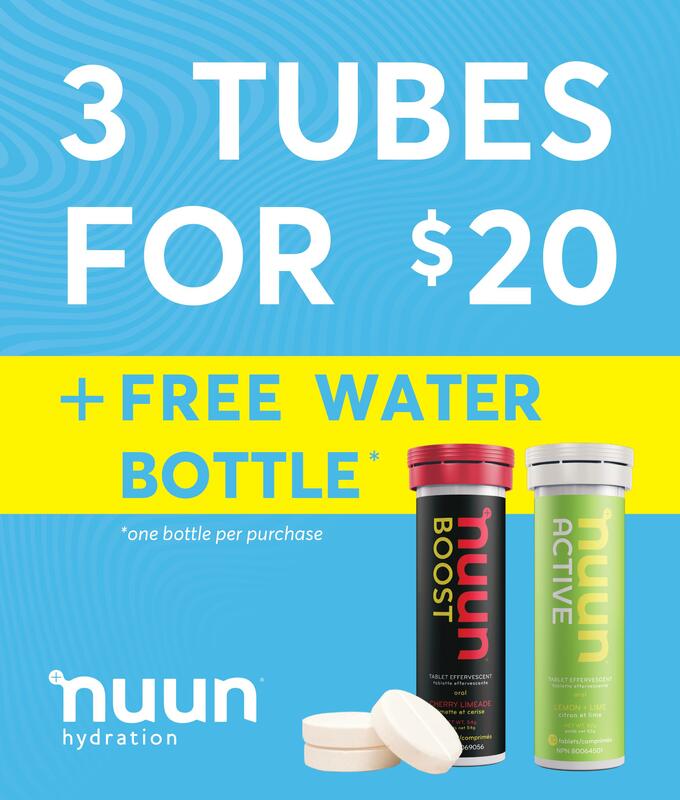 *One water bottle per purchase. 10% discount is valid on event weekend May 3-4, 2019. 25% discount is valid till June 5, 2019. 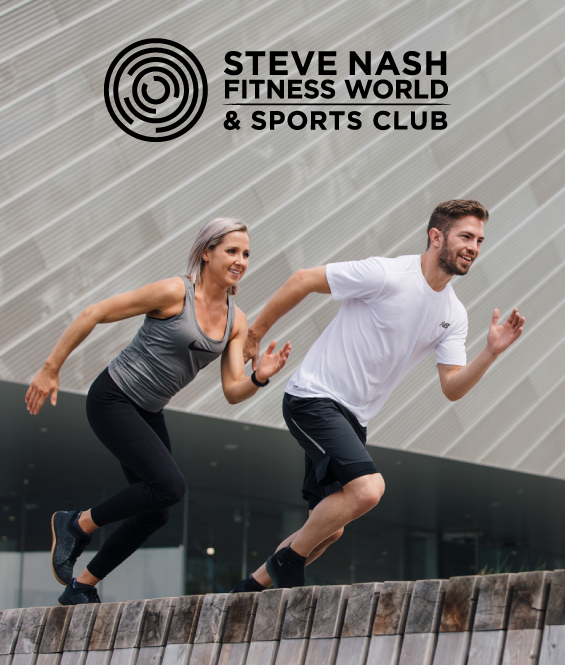 Save 30% on all online orders from now until May 31st, 2019 with promo code VANRUN. Plus, receive free shipping to Canada & USA on all orders over $100. 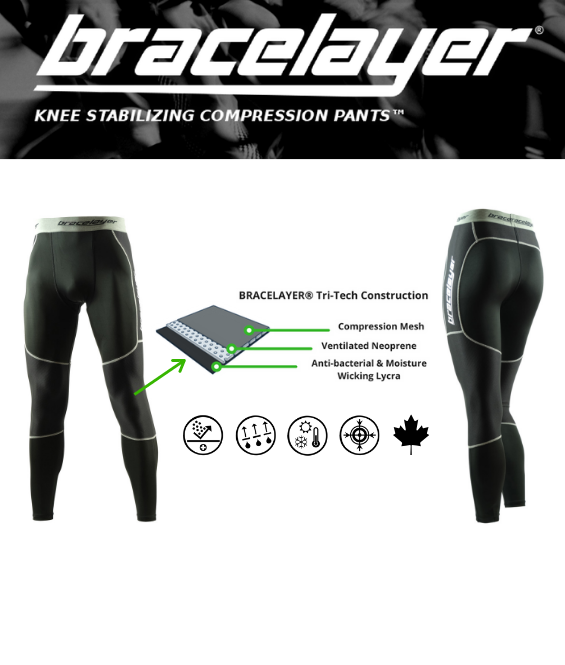 Visit bracelayer.com/discount/VANRUN. HelloFresh is a meal-kit delivery service, providing you with fresh, pre-portioned ingredients and recipes right to your door so that you can cook a nutritious and delicious dinner in 30 minutes or less! 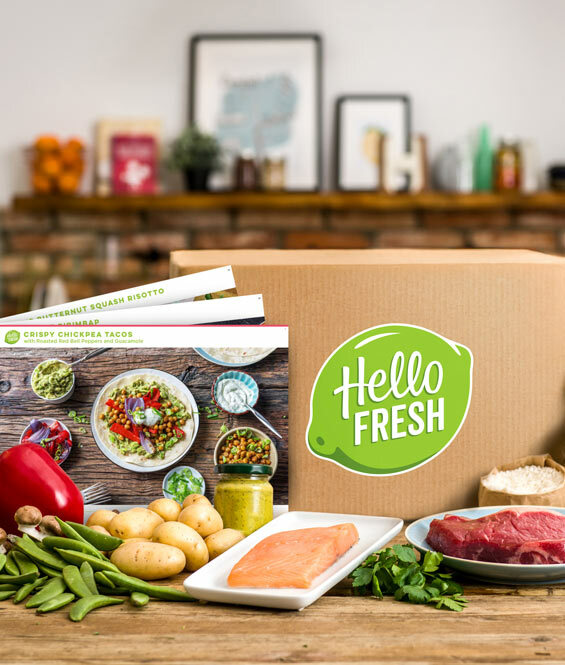 Use the code BMO25 to get $25 off your first 4 HelloFresh boxes! 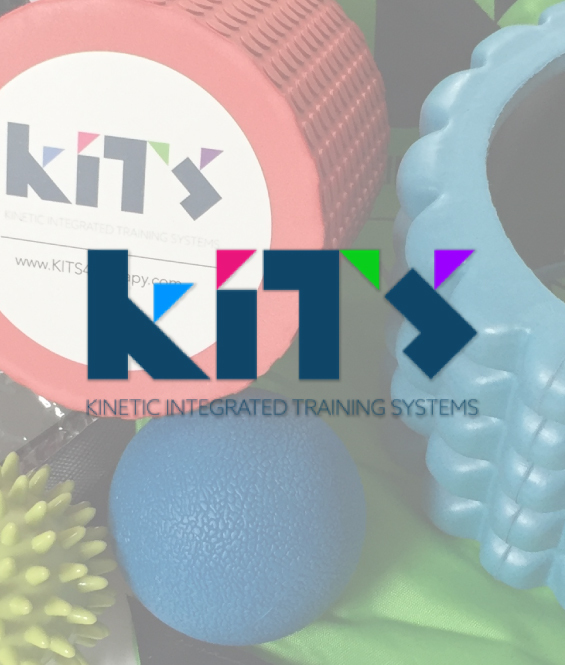 Use code “BMO15” to get 15% off online purchases at kits4therapy.com. Code is valid from April 1 to June 30, 2019. Receive a 20% discount at KITS booth during the Expo (booth #424). 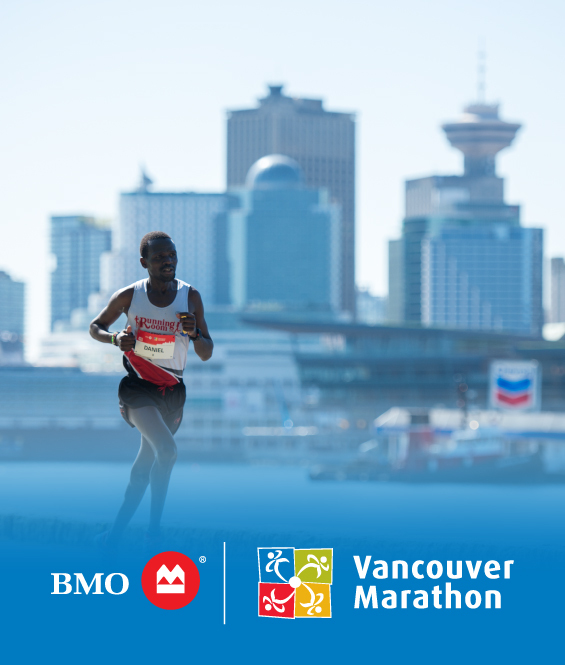 Follow @kits4therapy and tag KITS in your race day photos for a chance to win one of the two KITS Super Combo Packages in a Cinch Sack with a Coal Harbour Micro fleece jacket valued over $120. Where we run: Patagonia, Morocco, Kenya, Slovenia, Croatia, Canada, South Africa, Ireland & the USA. Who can go: You can! Our trips are designed to accommodate all ability levels. 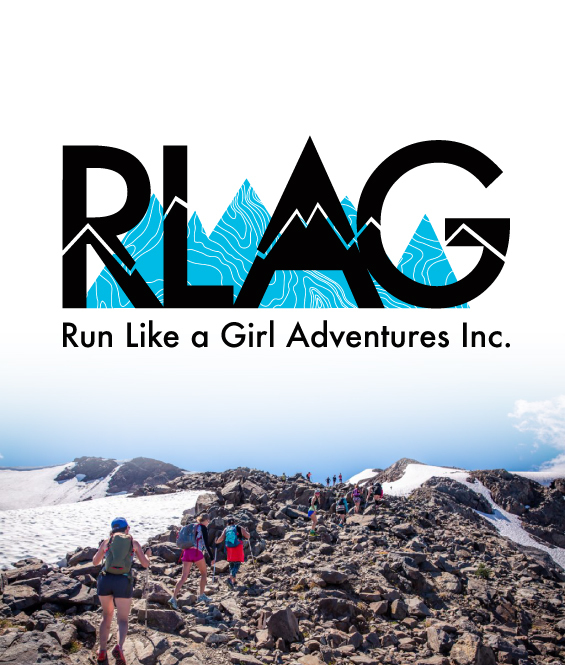 Visit roguexpeditions.com to check out our destinations, then use code RUNVAN once you choose your adventure. Applies to deposit payments only. Must register by August 31, 2019 to get the discount. Must be used for a trip that is available at the time of registration. Find us at roguexpeditions.com and on Instagram and Facebook as @roguexpeditions. Add some Aloha to your workouts with the Honolulu Marathon training gear. 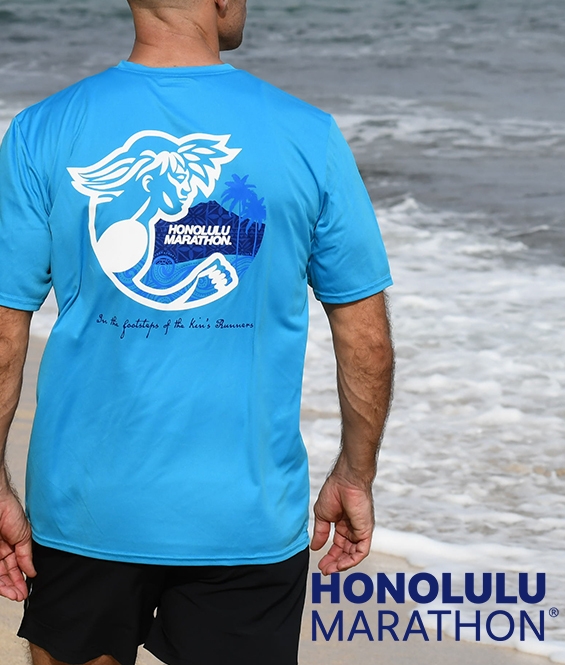 Use code RUNHAWAII20 at our online store! Visit our booth at the Expo to learn more about the Honolulu Marathon Weekend. CSX specializes in athletic supports, Compression socks and calf sleeves, and Pro impact protecting ankle socks. CSX products help to amplify performance, prevent injury, and shorten recovery time. Whether you are an elite athlete or someone with an active lifestyle who demands the best performance available, CSX provides the support you need and the look you want. Offer valid online until May 4nd, 2019. Save 30% on CSX compression socks, calf sleeves, pro running socks, braces and supports. 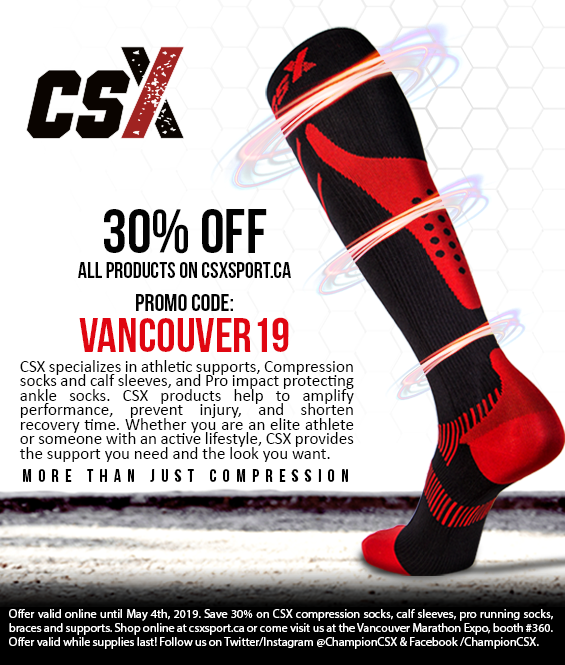 Shop online at csxsport.ca or come visit us at the Vancouver Marathon Expo, booth #360. Offer valid while supplies last! Follow us on Twitter/Instagram @ChampionCSX & Facebook /ChampionCSX. 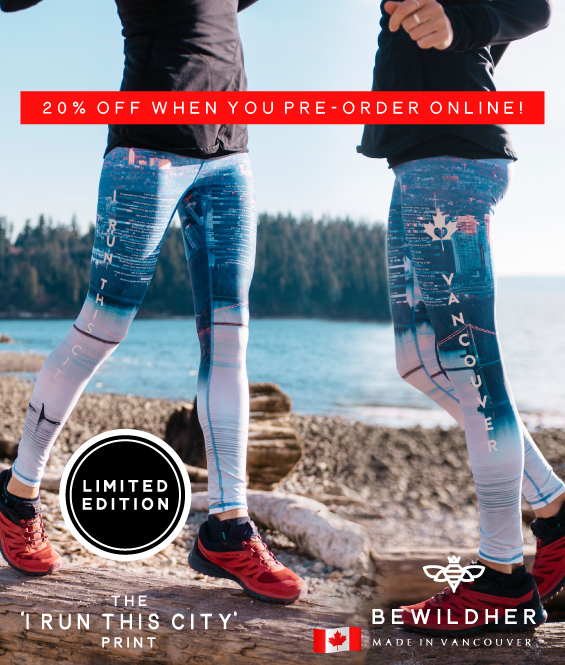 Get 20% OFF when you pre-order the limited-edition “I Run This City” running tights from Bewildher’s website bewildher.com and you’ll be able to pick them up at Bewildher’s booth during the race Expo! Any remaining pairs will be available on-site during the Expo and runners can use the discount code IRUNTHISCITY to get 10% OFF* all products online and on-site from now till May 22. We also have two on-going brand-awareness giveaways worth $1,500 each, just follow us on Instagram @bewildher and sign-up to our newsletter at bewildher.com to be entered in each contest. See our recent winners by visiting our Instagram feed! *Not in combination with any other discount. Thank you for supporting our commitment to sustainability as we move away from using physical coupons.